Lakewood is fortunate to have our Greenhouse! Mr. Phillips works with all our students for 35 minutes a week. Students are learning horticulture skills as they are involved in various gardening experiences. Our green house is doing fantastic things! For an inside look of the nursery, view LES Greenville. Our school has three Science Labs, one per grade level, for student use. 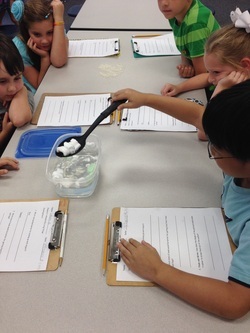 Teachers are encouraged to reserve the Science Lab, when needed, to conduct hands-on scientific learning. The Lab holds Foss kits that provide lessons on all types of experiments. 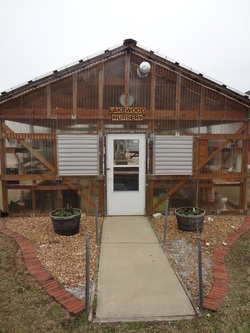 ﻿OOoLakewood offers teachers the opportunity to take their class-rooms outdoors! Students are able to experience nature while learning about the science around them. We currently have two outdoor classrooms provided for student learning. 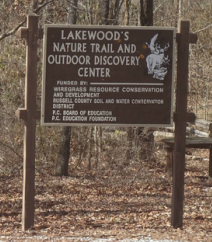 Our school is proud of our Nature Trail and Outdoor Discovery Center. Students are able to observe wildlife. On the trail are several bird feeders, an Animal Track station, just to a name a few. Everyday, our teachers are dreaming and planning to make this resource the best it can be!